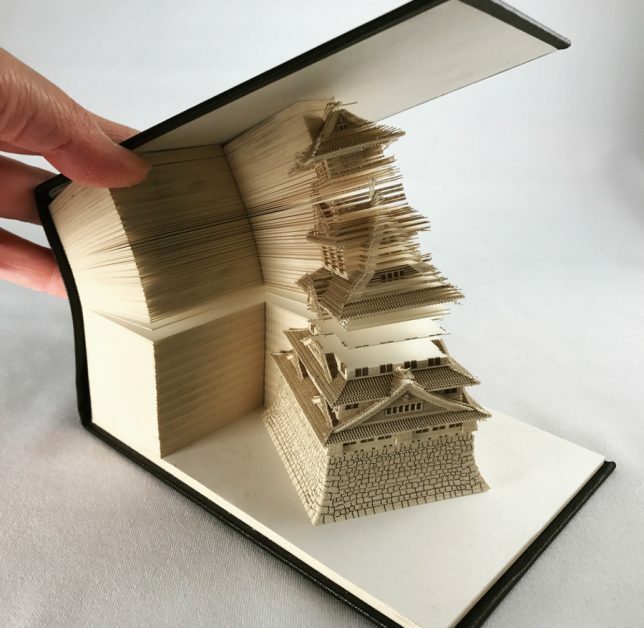 These ordinary looking stacks of square paper notes hold hidden surprises inside: each removed sheet reveals more and more of a secret Japanese structure, completely visible once all the pages are pulled. 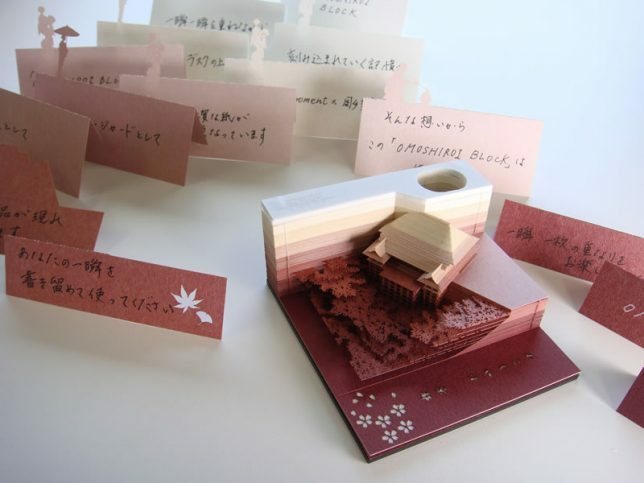 The Omoshiro (roughly: “fun”) Block uses laser-cutting tech to craft the initial deck with its internal architecture. 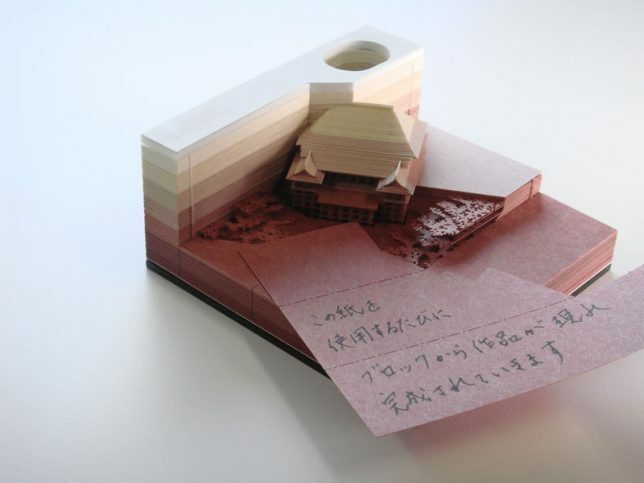 It is made by Triad, a firm in Japan that mainly makes professional architectural models for design firms. 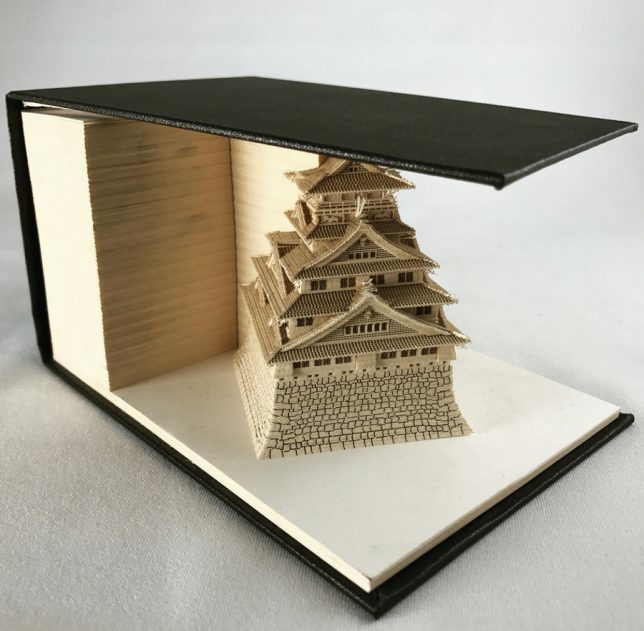 In tihs case, they have replicated a series of classic buildings from around the country, including the Kiyomizudera Temple in Kyoto and Asakusa Temple in Tokyo as well as the Tokyo Tower skyscraper. 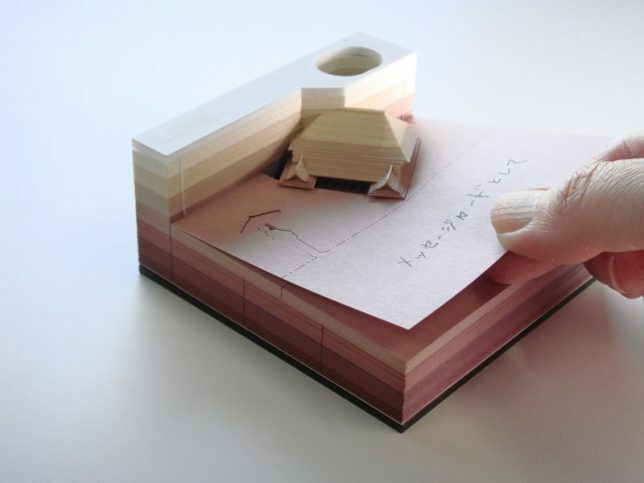 Each block has 100 sheets or more, each uniquely shaped around the void to create the buildings within — in a way, they catalog their own order of usage, each edge profile reflecting the moment it was pulled. 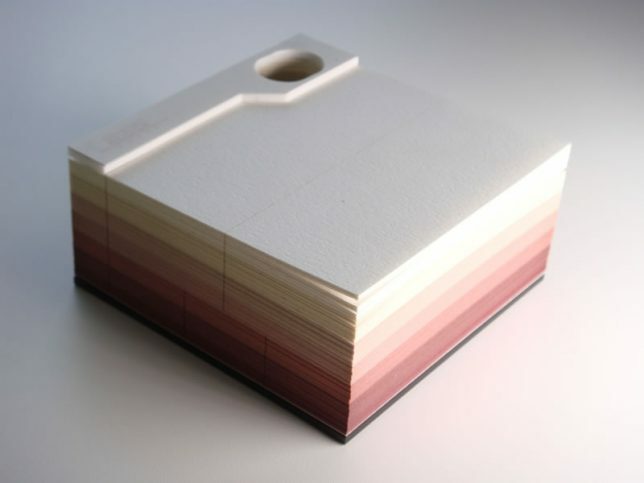 Subtly morphing hues between each layer reinforce the effect. 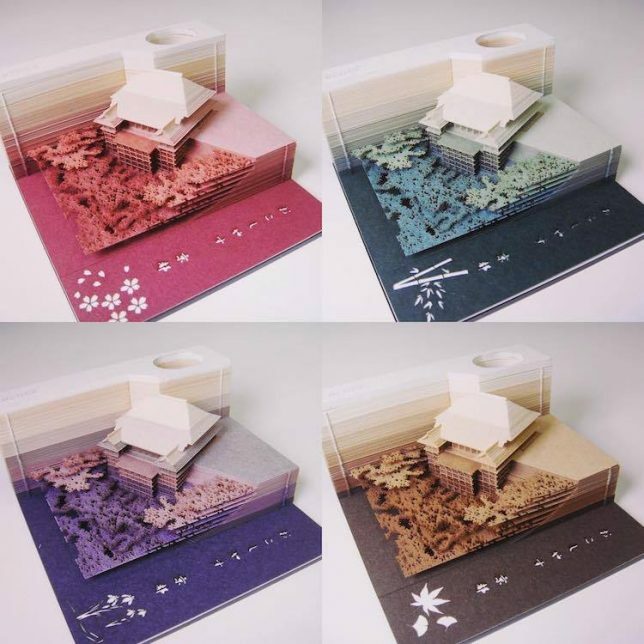 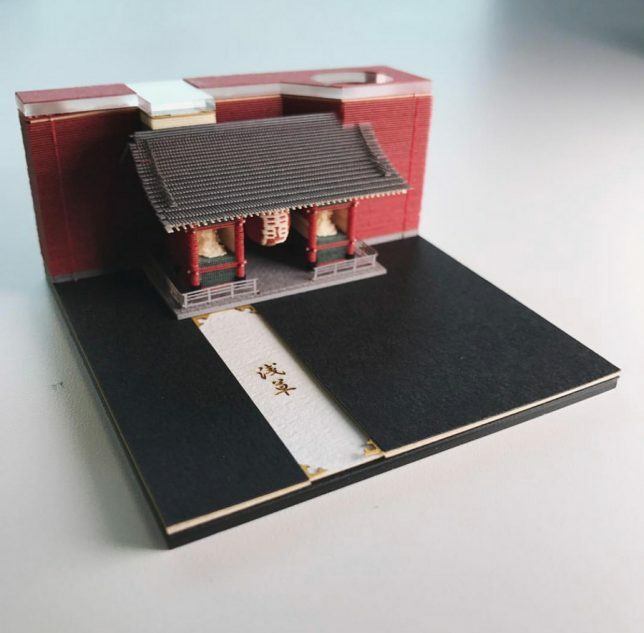 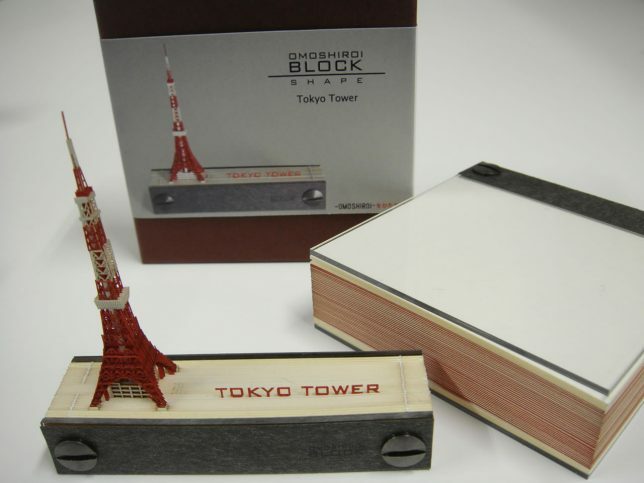 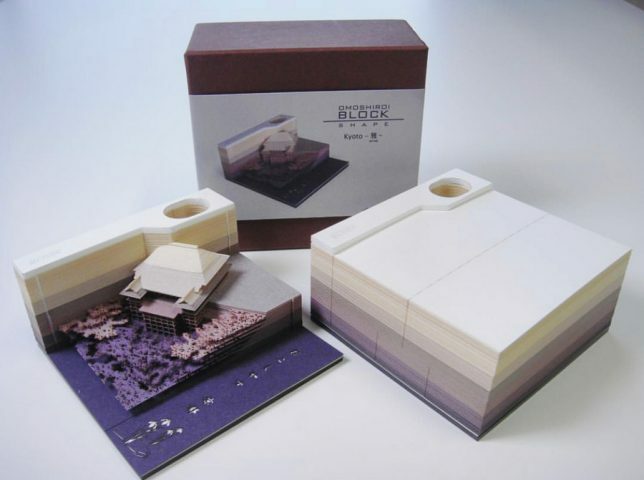 Currently, the blocks can only be bought in-store at Tokyu Hands in Osaka, along with other excavation-themed products and creations (like the book temple shown above).